Açai berries gained celebrity status in 2008 when television personality Dr. Mehmet Oz talked about them on The Oprah Winfrey Show, spawning a frenzy of knockoff supplements, powders, shakes, and other dubious products bearing the açai berry label but not necessarily containing any of the actual berry. The benefits of these products are suspect at best, but there is some preliminary research on real açai berries, which can be purchased as unsweetened frozen pulp. In the first study published in the medical literature on the effects of açai on human tissue, acai berry extract dripped onto leukemia cells taken from a thirty-six-year-old woman appeared to trigger self-destruct reactions in up to 86 percent of the cells. Also, sprinkling some freeze-dried açai berries on immune cells called macrophages (from the Greek words makros and phagein, meaning “big eater”) in a petri dish appeared to enable the cells to engulf and devour up to 40 percent more microbes than usual. Though the leukemia study was done using açai extract at the concentration one might expect to find in the bloodstream after eating the berries, unfortunately, subsequent studies published since then have failed to find such benefit for a variety of cancers. 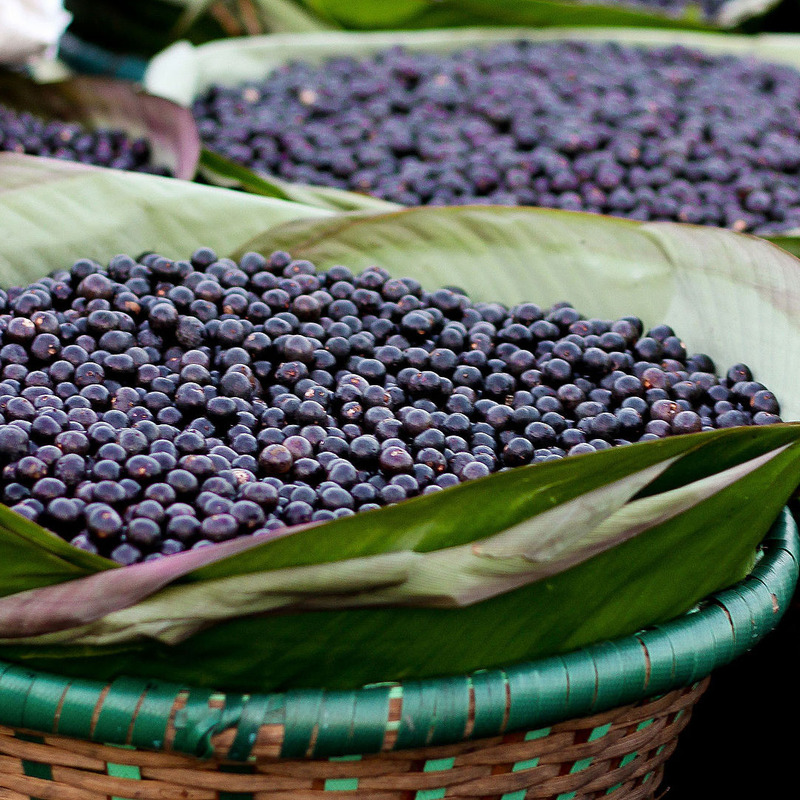 Recent studies of açai berries versus placebo on artery function show promise, and similar results have been achieved with wild blueberries. In terms of antioxidant bang for your buck, açai berries rank high, but applesauce may rank even higher. My Daily Dozen recommends at least one serving a day of berries, so why not give açai berries a try? Image Credit: Wikipedia This image has been modified.